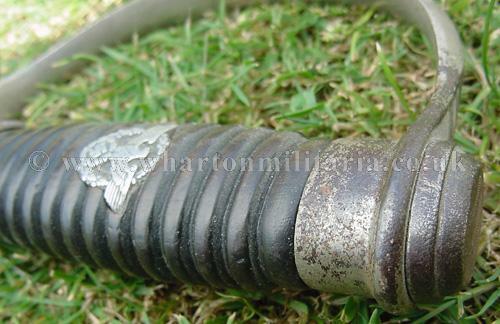 A scarce early SS/Police Officers early nickel sword in uncleaned condition. 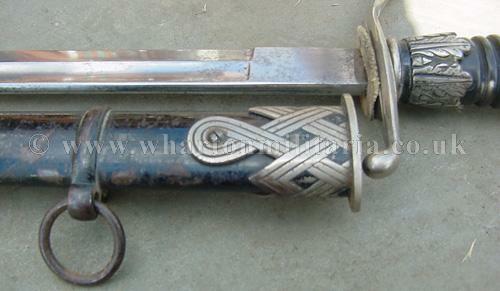 This is the classic, early, nickel SS/Police Officers sword in untouched condition. 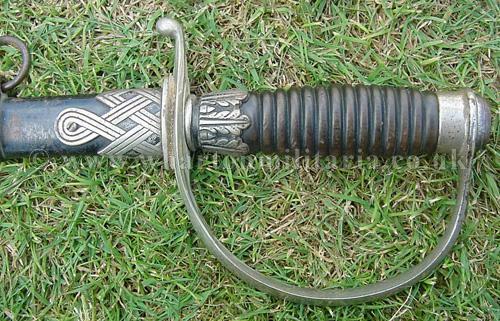 The sword has a nice patina and overall feel of quality. Grip has no damage other than the wear of time, eagle is correctly fixed and has not been tampered with, still retaining some of the background black definition behind the eagle, which is a bonus as most have lost the colouring over time. Grip wire is sadly missing though this does not detract. 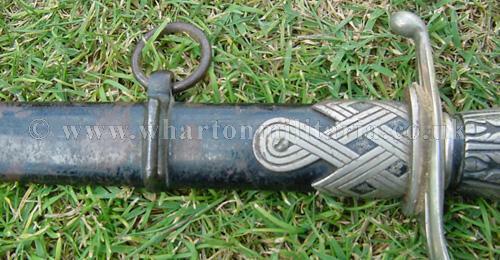 The pommel top has the original owners initials 'HM' or 'WH' depending on which way it is viewed and there is the stamped small SS rune mark underneath the crossguard. 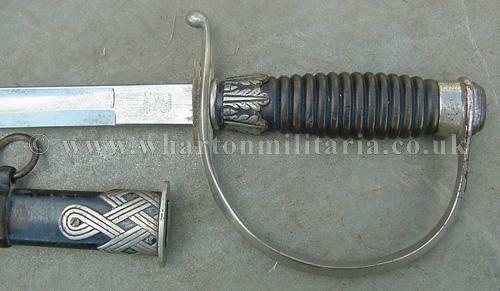 All fittings to the hilt, handguard etc are solid nickel as expected. 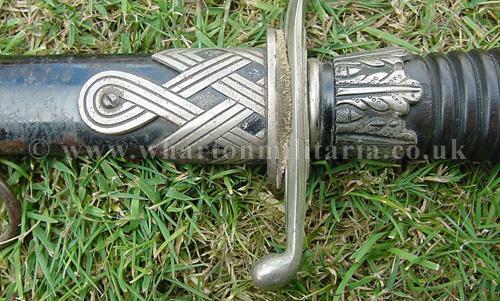 Scabbard is in excellent condition with minor paint flakes/chips, again the norm with scabbards of this age, the upper and lower scabbard fittings are nickel plated steel as expected. 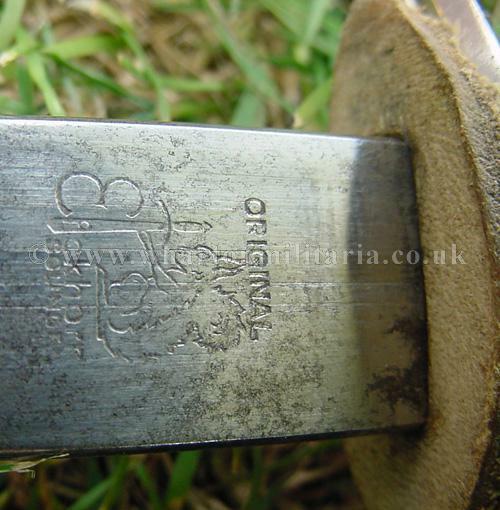 Blade is basically unmarked (see photographs). 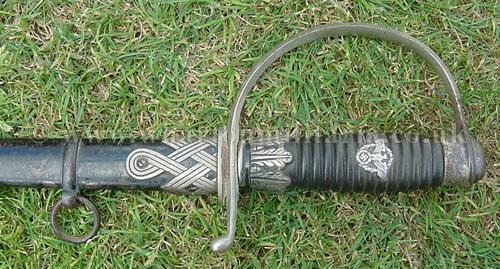 Blade length is 33.5 inches and the scabbard is 34 1/4 inches and maker marked with the ‘Eickhorn’ squirrel logo. 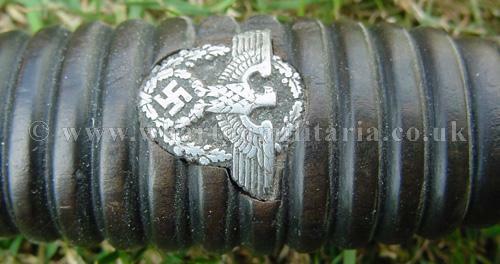 A nice early sword as used by both the the Police and the SS.